Parents of students at North Hill Elementary in Rochester Hills, Michigan, have reportedly been informed that all students are “winners,” therefore the “competitive ‘urge to win’ will be kept to a minimum” at the school’s annual field day. via Parent Left ‘Speechless’ After Reading the ‘Field Day’ Flyer Reportedly Sent Home by Daughter’s School | TheBlaze.com. His website included articles that were critical of senior religious figures such as Saudi Arabia’s Grand Mufti and allegedly insulted Islam and religious authorities, according to Human Rights Watch. Prosecutors had demanded Badawi be tried for apostasy, a charge which carries the death penalty, but this was dismissed by the judge. His punishment comes shortly after Saudi Arabia criticised Norway’s human rights record and accused it of not doing enough to counter criticism of the prophet Mohammed. Badawi’s lawyer, human rights activist Waleed Abu al-Khair, will not be able to represent him in an appeal because he has also been jailed and is currently awaiting trial on criminal charges that include “breaking allegiance with the king,” and “making international organisations hostile to the kingdom”. His retrial led the judge to impose a harsher punishment and fine him one million riyals (£157,000). In April, the Kingdom introduced a series of new laws which define atheists as terrorists, according to HRW. 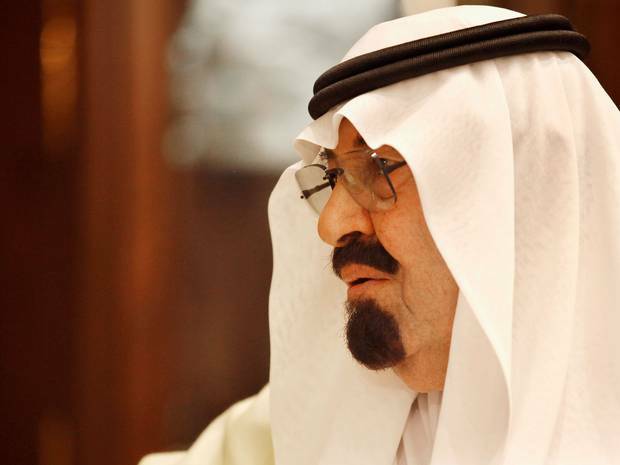 via Saudi Arabia orders 1,000 lashes and ten-year sentence for editor of website that discussed religion – Middle East – World – The Independent.